Is there a list of 3.2 supported Mods? Have heard about this project years ago and while coming back to Falloout 3 I was delighted to see it was out and running. 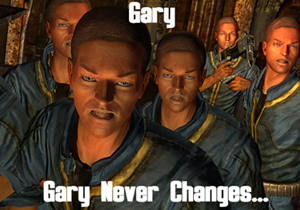 However, currently seems like it is connected vanilla versions of FO3 and FNV with few improving mods. Just checked nexusmods and out of 284 TTW mods only about 20 seem to be compatible with 3.2. Is there a cache of supported mods somewhere? Am I missing something or do I need to wait for mod authors to catch up, assuming they wish to do so. Re: Is there a list of 3.2 supported Mods? Look through the list of incompatible mods to see what to stay away from. Go to the Tale of Two Wastelands Mod Releases 3.x topic to find recommended mods and mods that are currently being made compatible. This was a huge update and was released not that long ago. I have found RoyBattys mod list on his Twitch profile to be extremely helpful. Always a good place to start. The rest are not good to go, we haven't got time to check 30000 mods.